Download International Child Care's print newsletters to stay up to date with how ICC is making a difference in the lives of children and families in Haiti and the Dominican Republic. To receive our print newsletters, or to sign up for our e-newsletters, please get in touch. Update on the economic crisis in Haiti, appeal from Rev. Dr. Tommy Brumett and save the date for Race for Grace 2019. Article from Rev. Dr. Tommy Brumett (First UMC McKinney, TX and Board Member of ICC) on why we need to give to ICC this holiday season. Also, profiles about Dr. Bijou, Director of Grace Children’s Hospital and International Child Care Haiti and an article on diagnosing Tuberculosis cases in Haiti. This August, about 60 individuals are preparing to ride in the Texas heat as part of the Hotter’n Hell 100 bicycle ride. Please help us support Grace Children’s Hospital as we “Race for Grace”. Board member Jeannine Hatt, MD, tells of her work with Chuck Phelps, MD, Ellen Palmer, PhD, RN and Becky Baird, MS, RN, in a tent city as part of the Integrated Community Health program. Chuck Phelps, MD works with Grace Children’s Hospital Radiology department on updating equipment. Look back on a story of a child whose life was saved by Grace Children's Hospital and see how he's doing now, 10 years later. Also, read about the changes happening at Jolitrou and what's needed to keep this important health clinic open to the community. Look back on some of the important people from Grace's history and learn about how to create your own 50for50 campaign to honor Grace's golden past and ensure it's bright future! Read about ICC Dominican Republic's new program for adolescents living with disabilities; welcome ICC USA Executive Director Jennifer Cramer to the team; get an updated on Race for Grace 2016; and meet Antoine Innocent, a young boy at Grace Children's Hospital. This newsletter features the Jolitrou Clinic, the Integrated Community Health program for healthcare in the remote areas of Haiti, maternal health issues in Haiti and the training of Traditional Birth Attendants, a collaboration with Caribbean Biotechnologies, Inc. for clinical studies on the detection of tuberculosis, and an introduction to the annual Race for Grace 2015. Read about the Playing to Heal program (part of Community Based Rehabilitation) that women from Trinity United Methodist Church used in an unexpected stay in the Dominican Republic, a story about when a MEET trip participant learned the importance of teaching mothers to care for their disabled children, a success story about a child who has seen great success with the Community Based Rehabilitation Program, and the results of the 2014 Race for Grace. In this issue, meet ten-year-old Sarah Thomas who made sewed and sold pillows to raise more than a thousand dollars for Grace Children's Hospital; learn about how the Community Inclusion Program allowed 9-month-old Cerebral Palsy patient Anabella to get assistance early on; and celebrate Mariana's success of now being able to hold objects, sit down, dress herself, and help sweep the floor--all tasks she wasn't able to do four years ago before she started the Community Based Rehabilitation Program in the Dominican Republic. ICC Canada is celebrating 40 years of work in Haiti and the Dominican Republic with two special edition newsletters. In this one, discover the story of Jack and Ann Wall, pioneers of ICC Canada; learn about tuberculosis; celebrate the impact of ICC Canada over the past 40 years; and meet Jesula, a young girl whose life changed the moment she became a part of ICC Community Based Rehabilitation program. ICC Canada is celebrating 40 years of work in Haiti and the Dominican Republic with a special edition newsletter. Read the amazing story of Liana, a Cerebral Palsy patient who was not expected to ever walk or talk and who is now doing both thanks to the Community Rehabilitation Program and your generous donations! Learn how this program is breaking down the stigma of persons with disabilities in the Dominican Republic, get an update about Haiti after the 2010 earthquake, and hear some reflections from staff members over the past 40 years. International Child Care operates in Dominican Republic as Fundacion Cuidado Infantil Dominicano (FCID), focusing on rehabilitation. In this special themed DR edition, you'll meet a boy named William who benefits from the School Inclusion program, receive a brief history lesson on ICC in the DR and the programs it offers, and be inspired by how women are making a difference in the community. Hear the empowering story of Valencia, who on her deathbed was transferred to a bed at Grace Children's Hospital and who survived against all odds; learn about ICC partnerships; take a peek at plans for the new Grace Children's Hospital; read some words from the US and Canada national directors; and discover how you can get involved by traveling to Haiti/Dominican Republic on a Mission Education Encounter Team. Nearly 40 years ago, the original building for Grace Children's Hospital was purchased by.... youth. Be empowered as you read about how youth from Ohio, Indiana, and Michigan banded together to raise the money to buy the building; about how Rosita Bazil's commitment to the hospital has been withstanding since the beginning; about the new nursing mobile library, about a play therapy program in Haiti, and about how ICC was represented at the 2011 United Methodist Schools of Christian Mission. In this issue from ICC Canada: how your gifts save lives through maternal health programs and the power of partnerships with Port Margot Chocolate, Chicago-based Children's Memorial Hospital, and Americares. This issue is packed with inspiring stories about thirty years of health assistance in the urban community of Les Cayes and treatment of tuberculosis; a health education session on tuberculosis in a school of 590 students in Les Cayes, Haiti; a reflection from a MEET participant who helped deliver a baby and whom the baby was named after; the work of the Community Based Rehabilitation program in the Dominican Republic; and a call to action for Race for Grace in Wichita Falls, TX. This issue is our close to our hearts as it tells the story of the impact the earthquake had on Grace Children's Hospital and the families of Haiti. Read about the Relief and Reconstruction Office in Port-au-Prince and the Mobile Eye Clinics to the tent cities surrounding the hospital. See the response of the earthquake among staff, Haitians, and supporters. Months after the earthquake in Haiti and the outpouring of support, Haiti is still in critical condition, and trauma is all around. In addition to the general funds, ICC supporters have responded by raising funds for a pediatric anesthesia machine for Grace's eye clinic to better treat patients during trauma and by sending psychologists, social workers, and clergy to listen and work with those with post-traumatic stress disorder. 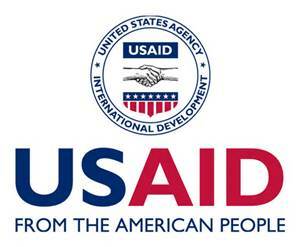 A grant from USAID of $400,000 will aid in the rebuild of the hospital. Jolitrou Clinic is in northern, rural Haiti and open only two days a month. Read about how many people come to use these services and about how more donations are needed to allow it to be open more often. In this issue, you'll also read a testimony from ICC Canada's National Director upon traveling to Haiti and the Dominican Republic as well as the story of third-grade Kara Russell who spends all year making ornaments to sell to raise funds for ICC. Discover how a bio-sand water filter works and how it is impacting communities in Haiti. Also, get tips on simple ways to conserve water, and meet Jessica Jean Baptise whose life is being saved at Grace from contaminated water thanks to your support. Each year more than 57 million women experience a pregnancy-related complication, and more than 525,000 women die either during or after childbirth as a result of poor or inadequate maternal health care – that’s one woman per minute, every day. Learn how ICC is working to meet the UN's Millennium Development Goals and how the maternal health program in the north is helping safe lives. People with disabilities face challenges no matter where they live, but it is especially difficult to live with a disability in developing countries like the Dominican Republic. Discover how Community Based Rehabilitation (an ICC DR Program) brings rehabilitation techniques to families with disabled children living in marginal neighborhoods or rural areas who have no access to regular rehabilitation services. Read first-grader Erica's story; learn how the rehabilitation workers use the Portage Guide to Early Education; and celebrate ICC Haiti's 40th anniversary. Get an update on all that the ICC USA office has been up to, including travel to New York, Washington DC, and California to reconnect with partners, supporters, and churches; the making of a documentary about Haiti by members of Portage United Methodist Church while traveling with ICC; fundraising through Alternative Gifts International; and headquarters relocation. You will also briefly meet ICC Canada's new National Director Peter Montgomery. HIV/AIDS is a very severe problem in places such as Haiti. Years ago, there wasn't much Grace Children's Hospital could do beyond diagnosis and basic care. As of 2005, however, the hospital can now administer ARV treatment which significantly improves their lives. Read about the struggles of the disease in developing countries such as; about a young girl named Nancy who was treated by Grace before ARV was available; and about Schneider who greatly improves from treatment for HIV at Grace today. Thankfully, Grace Children's Hospital can now perform eye surgery for cataracts and other eye ailments right on site without having to refer patients to another hospital. The new eye clinic will improve the quality of life for thousands of people who are at risk for becoming blind. Experience what an eye exam looks like at Grace as Denis Sedin comes to Grace for the first time. Meet young Donsilia Joseph who suffered from tuberculosis and blindness. ICC-Haiti focus on work in rural areas by listening to the community to hear its needs, providing early vaccinations for children, and empowering the people with education and encouragement. Meet Athlene Jean and learn about how the MIcro-Enterprise Loan Program helped her provide food and schooling for her five children, as well as the leader of the Community Health coordinator in the north, Shi Shi. Finally, see how ICC partnered with a Crossing Borders team from the University of Michigan. As Haiti and the Dominican Republic partner up for a TB initiative, learn a brief history of the island, see why migration can create drug-resistant tuberculosis, and meet Bienvenue Thèlusma, who suffers from Pott’s disease, a type of tuberculosis that affects the spine. In a country where one in eight children will not live past their fifth birthday, a healthy birth is a precious commodity. Learn about training traditional birth attendants, educating mothers, mothers' clubs, and birth-related disabilities in the Dominican Republic. Also, you can read about the elections in Haiti and the new president. Partnerships are crucial to the success and sustainability of the work ICC does in Haiti. In this issue, you can read about the partnerships with Canadian Feed the Children, staff and North Americans that contribute pastoral or spiritual care, and Haiti's Ministry of Health. We also celebrate an important milestone with our work in the Dominican Republic: after 15 years of operating under the legal auspice of ICC USA, ICC DR has become an official and fully recognized partner under the Spanish name of Cuidado Infantil Dominicano (CID). Discover the many reasons ICC has persisted through all the turmoil and upheaval: a Christ-centered focus, humility, partnerships and collaboration, operations locally, and active political impartiality. Meet Sebastien Leonard Sylvain, a six-month old baby boy, whose family is victim to some political violence, and learn about how inflation in the Dominican Republic is effecting families' diets. Join us as we celerate Haiti's bicentennial! Not only is Haiti known for being the second-oldest nation in the Western Hemisphere, it is also the poorest. At Grace Children's Hospital, ICC has worked tirelessly to alleviate concern over the health of Haitian children. Learn about the inpatient care facilities at Grace, as well as the vaccination process for sickly children. Also, read about how our Traditional Birth Attendent training, are changing midwife practices in Haiti. Hear the story of Michael Antonio, a young boy from Santiago who suffered from severe malnourishment prior to Grace. Thanks to a combination of vitamins and protein supplements supplied by Dr. Martinez at Grace, Michael is on the road to making a full recovery. Also, learn about the food service within Grace and the new assistance programs ICC is offering for Haitian people affected by HIV/AIDS. In Haiti, it is an unfortunate reality that one in five children will die before the age of five due to a curable disease. In both Haiti and the Dominican Republic, young women are more likely to bear children at a much younger age than in the United States. At ICC, we are attempting to minimize this statistic through a number of measures. One of these methods that ICC has had success with is the implementation of preventative contraception practices. At Grace Children's Hospital, young women are able to visit and obtain various contraception tools in order to combat sexually transmitted diseases and unwanted pregnancies. Learn about the transformation that occurs for our volunteers when they participate in one of our Mission Education Encounter Trips. Hear George W. Boyd's experience through his trip to Haiti and the many lessons he took with him back to Canada. Also, learn about the story of Batania and Wellington, a mother and daughter that befriended one of our members during a trip to the Dominican Republic. Over 47% of Haitian adults are illiterate, and this educational epidemic is affecting the way in which parents care for their children. ICC Haiti is attempting to alleviate this statistic in a number of methods. Through their adult literary classes, adults are able to learn the fundamentals of Kreyole and French in rural areas throughout Haiti. With this education comes a sense of empowerment that parents are able to use to care for their children. Much has changed in the 35 years since the inaguration of Grace Children's Hospital, but not the overarching commitment to the children of Haiti. Learn about the adventures of the Stanley family in their mission to Haiti in 1967, and their call from God that compelled the family to leave their home. Also, discover how the partnership between Grace and ICC has evolved since the Stanley's maiden trip. Less than half of the population of Haiti has access to reliable, clean water. Contaminated drinking water can lead to a myriad of deadly diseases, inclusing typhoid and diarrhea. Through hygeine programs at Grace, workers are able to teach safe hygeine practices to combat these illnesses. Additionally, ICC's Community Based Rehabilitation program has been successful in assisting children with behavioral disorders.